In December 2015, the UN General Assembly decided to extend the scope of Nelson Mandela International Day in order to promote humane conditions of imprisonment, to raise awareness about prisoners being a continuous part of society, and to value the work of prison staff as a social service of particular importance. PHE’s Health and Justice in England annual review highlights the team’s work internationally as a WHO Collaborating Centre. The annual review is also a reflection of how England is working to meet the UN Minimum Standard Rules for the Treatment of Prisoners, known as the Mandela Rules, which state that healthcare in prisons should meet the standards and quality equivalent to that in the community. This argument for the ’equivalence of care’ in prisons compared to community settings was an area that the recent Health and Social Care Select Committee raised in their prison healthcare inquiry. PHE was asked as co-signatories of the National Partnership Agreement on prison healthcare in England to present oral evidence at the session. At the Health and Social Care Select Committee, one of the most impactful actions as a national partnership on ensuring equivalence in prison health that was highlighted is the delivery of smokefree prisons in England and Wales. On 30th April 2018, the final two prisons in England implemented their smokefree policies, bringing the total number to 102 – the largest smokefree prison estate in Western Europe. This is a momentous public health achievement accomplished against a background of often hostile media coverage and real concerns about the welfare of people in prison. Colleagues from HMPPS, NHS England, PHE and others came together at an event in Newbold Revel to reflect on the journey to date and the challenges ahead. Smoking remains a leading cause of preventable death in the UK, causing around 78,000 deaths in England and 5,500 deaths in Wales in 2016. 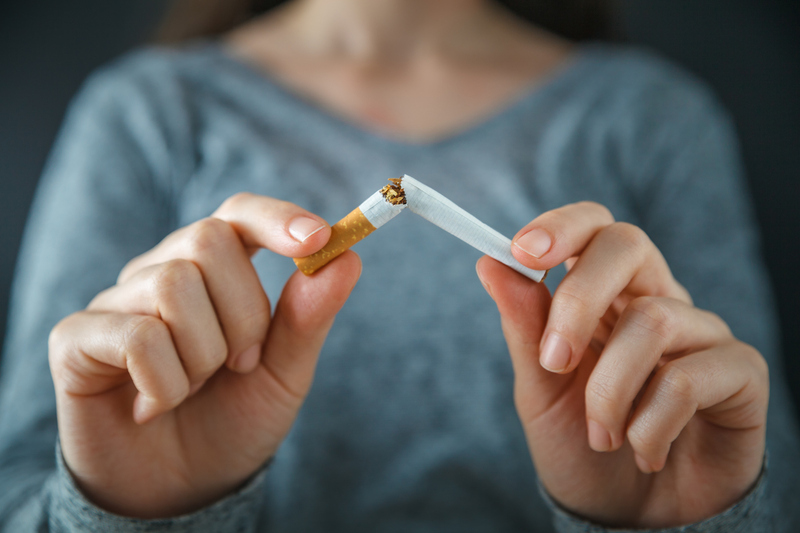 As exposure to second-hand smoke can lead to a range of diseases, many of which are fatal, reducing smoking prevalence remains a key area for Government with a target of 12% smoking prevalence by 2022 for England. People in prison often experience significant health inequalities but none starker than the difference in smoking rates. In England, 14.9% of adults smoke tobacco, but for people in prisons it is about 80%. Following the completion of air quality testing in prisons in 2015, which identified a significant health threat to both prisoners and staff, HM Prison and Probation Service (HMPPS), with NHS England and PHE, implemented a project to move to a smokefree environment in all closed prisons in England and Wales. This partnership approach has been essential to the success of the programme, and was enshrined in the 2015/16 National Partnership Agreement. The approach in England was characterised by a rigorous assessment of the ‘state of readiness’ of prisons and their healthcare services, including the availability of nicotine-replacement therapy. A report by PHE published in August 2015 showing that “e-cigarettes are around 95% less harmful than smoking” paved the way for the real ‘game changer’, with the introduction of e-cigarettes and subsequently vaping devices in prisons. Prior to the project starting, around 50,000 prisoners were buying tobacco. Now, prison canteens are selling over 65,000 vaping products weekly to over 33,000 prisoners, which is a significant harm reduction impact. Further work is required to consolidate the achievement of a smokefree prison culture. As Nelson Mandela reminds us “I have discovered the secret that after climbing a great hill, one only finds that there are many more hills to climb”. However, sometimes it is important to stop and admire the view, realising the scale of the accomplishment to date. This work may be the most significantly impactful public health programme we will deliver together, literally life-saving and ensuring we leave ‘no one behind’. I would like to give a mention for Ian Gray who, when he worked at the Chartered Institute for Environmental Health did some of the first work on developing smokefree prisons in the UK.